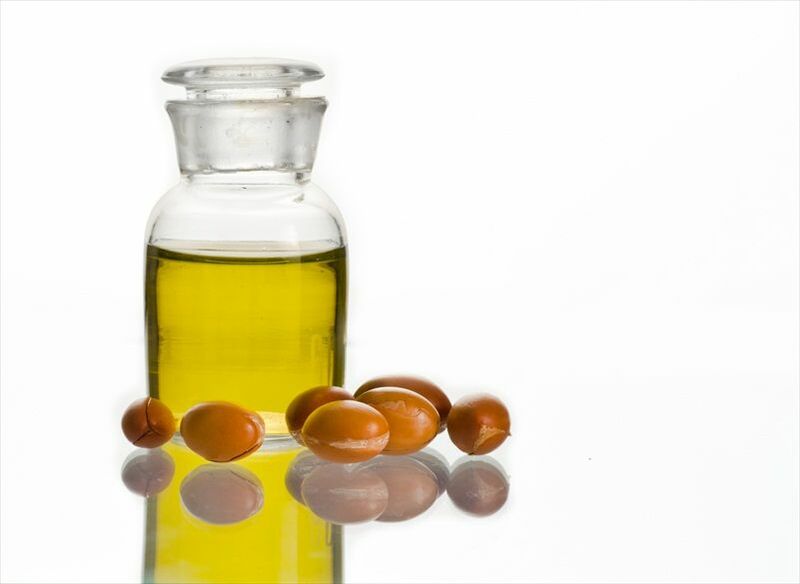 What benefits does argan oil have for health? Argan oil is obtained from the seeds of the fruit of the thorny Argania tree, native from Morocco and known as green gold for its properties and benefits provided by the use of this oil to care for the skin and hair. In addition to using this oil, you can also use other oils to provide other benefits such as sweet almond oil or rosehip oil. Considered as one of the key vegetable oils in the field of natural cosmetics, Argan oil has become an essential ingredient of numerous creams, masks and other beauty treatments. Argan Oil was traditionally used in Morocco as a diet food, but also as an ingredient of traditional medicine. However, in recent years, it has become popular thanks to numerous studies that demonstrate its properties and benefits for the skin and hair, making it important oil in creams and other cosmetics for beauty care. 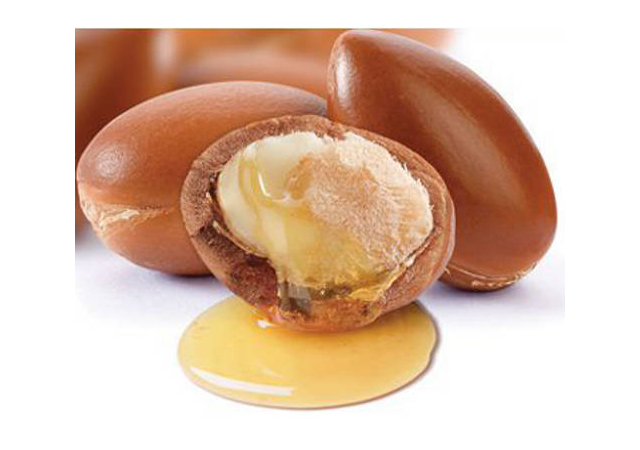 Argan oil has a mild odor and a golden color. Its popularity has made it available in numerous supermarkets and cosmetics stores and natural products, although we can´t always find virgin argan oil available, but we find it mixed with other vegetable oils. To keep the fresh Argan oil it is recommended to keep it in a place away from light and dry. Treating Acne: Argan oil can be applied as a treatment for acne and different types of eczema, because it possesses bactericidal properties. Eliminate fungi: because of their fungicidal action, the fungi on the skin can be treated with this oil. Recent studies indicate that its action on the skin in case of fungal infections is very effective. Burns: It is also possible to use it when you go to the beach, and besides protecting you against ultraviolet rays, it also alleviates sunburn; so this oil has a double action. Dandruff: It has been determined that dandruff is a fungus that inhabits the scalp. Argan oil, due to its fungicidal action, contributes to the effective elimination of dandruff. Cardiovascular Benefits: Argan oil is high in Omega 9, lots of vitamin E and also a lot of antioxidants, which help us, prevent cardiovascular problems. This oil has a lot of similarity with olive oil in this respect, but the one of argan has much more accentuated properties. Cholesterol: Important studies have shown that people, who consume argan oil, lowered their levels of bad cholesterol in the blood, and increase the values ​​of good cholesterol, even much more than those who took drugs. Some have included argan oil as part of their diet. Hypertension: Serious studies indicate that hypertension is regularized by argan oil as an alternative treatment and included in a healthy diet to support people with previous therapies to control high blood pressure and also those who are prone to high blood pressure. Cancer Prevention: The oil included in the diet it is believed to be anticancer because of its antioxidant content, its properties are preventive, but not curative. Argan oil can also be used as beauty treatments, and for skin care, in addition to being used to improve your figure. As oil, argan has moisturizing properties. It is therefore used to maintain our cell structure, as it is rich in fatty acids, which keeps the skin hydrated. It is widely used on the face and body to maintain optimum hydration. Due to its high content of antioxidants and vitamins E and D, it is an excellent enricher of skin properties, such as elasticity. If used daily, it neutralizes free radicals, facilitating skin nutrition. The properties of argan oil, and the amount of antioxidants it contains, gives your skin the benefit of being more elastic, which is why it slows the appearance of premature wrinkles. It also has regenerating properties of the fibers of the skin, so it can be applied in small or surgical scars, marks and age spots, collaborating with their disappearance. It has been recently observed that argan oil influences on the reduction or attenuation of already existing skin marks and in the prevention of the appearance of possible new stretch marks, due to its property of providing elasticity and resistance to the skin. Nails have been shown to gain strength and some flexibility due to the vitamin properties of this oil. Argan oil, when applied to the scalp, strengthens and prevents excessive hair loss. It also moisturizes and strengthens, giving more volume. The wonderful argan oil is currently being used to make hair straightening treatments through its use. It is used as a therapy for hydration and deep moisturizing.